www.jamonypico.com belongs to Jamon y Pico, S.L., its main goal is selling and distributing products, activities and services offered by Jamón y Pico S.L. By accessing this website and any of its pages you will be considered a User, which implies knowledge and acceptance of the legal term and conditions contained therein. - The returning period of any of our products is maximum 7 days. Returned products have to be new or in case clients tasted at least they have to return 90% of them, otherwise the return won´t be considred a complained delivery. 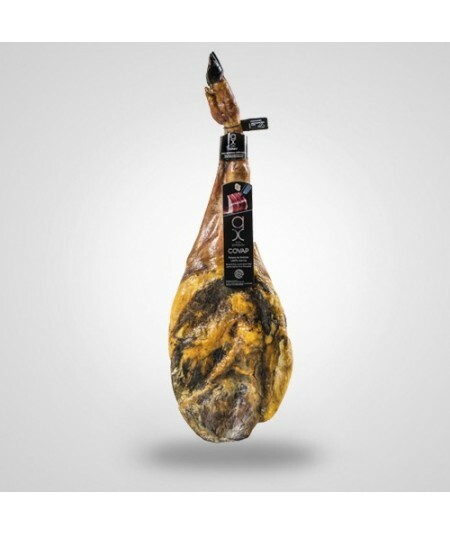 In case this return is demonstrated to be originated by a lack of quality, Jamon y Pico will assume all the shipping costs and will send a new substitution product to the client. - www.jamonypico.com, will always deliver all our Iberian hams to all our clients in the European Union . Our logistic company delivers all our products to Iberian peninsula destinations in less than 3 working days although we always try to make it in maximum 48 working hours. The delivery to the rest of the European Union countries will be approximately 5 working days and again, shipping is for free. · Jamón y Pico, S.L. reserves the right to update, modify or delete information contained in its website, even to limit or deny access to such information, without previous notice. It also reserves the right to remove, limit or prevent access to the website when technical difficulties arise from events or circumstances outside Jamón y Pico, S.L. that could reduce or impact the proper functioning of the website. · Jamón y Pico, S.L. won´t be never responsible for any loss, damage or injury of any kind arising from accessing and using the website, including, but not limited to, those arising in computer systems or damage caused by the introduction of viruses and / or attacks. Will not be responsible either for any damage users may suffer from improper use of this website and in any way, breakdowns, interruptions, lack or failure of telecommunications. · Jamón y Pico, S.L. is not responsible for the accuracy, completeness or updating of information not produced by Jamón y Pico, S.L. and those provided by other sources, nor the content of other websites by hyperlink from www.jamonypico.com provided to the user as alternative sources information. · Jamón y Pico, S.L. assumes no responsibility whatsoever for possible damage that may arise from the use of such information. In any case, these hyperlinks would be considered as a recommendation, endorsement or distribution by Jamón y Pico, S.L. information, of products and / or services, or in general, content pertaining to third parties, provided by them or in any way disclosed by them. · Jamón y Pico S.L. has no responsibility for any discrepancies that, temporarily, may arise between the version of your paper and electronic versions of the documents published on its Web pages. · The whole content of this website, ie the component elements (text, images, marks, logos, audio files, software files, color combinations), and the structure, selection and arrangement of their contents, are protected by the rules of intellectual property and may not be subject to exploitation, reproduction, distribution, modification, public communication, transformation or any other form of unauthorized disclosure. ·Jamón y Pico S.L. is authorized to use the "5 Bellotas" brand to sell via Internet their products. Access to this website does not give to users rights, or any ownership of intellectual and / or industrial property rights to use the content provided by the Web. 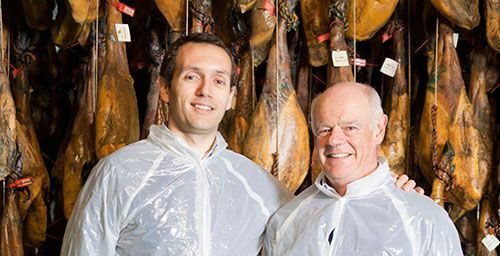 Jamón y Pico, S.L., reserves the right to take legal actions against users who violate or infringe the intellectual and / or industrial property rights . Jamón y pico, S.L., guarantees the confidentiality of personal data provided by users, according to protection of personal data legislation. All these data are confidentially treated and users are informed and give their consent to the inclusion of their data in Jamón y Pico, S.L. files and possible later utilization. For the best performance of his services, Jamón y Pico, S.L. is obliged to provide certain customer data (name, address, phone, etc..) to other companies involved in the service chain (transporters, installers, financial institutions, etc..). In all cases, all provided data are strictly necessary to fulfil the specific activity. Or by sending an email to info@jamonypico.com with the subject "Ref LOPD"
The user acceptance to process or pass its information in the manner prescribed in this paragraph may be revoked without retroactive effect.